Quickie quiz: According to MoneyRate.com which state ranks as the no. 1 worst state for retirement in 2012? 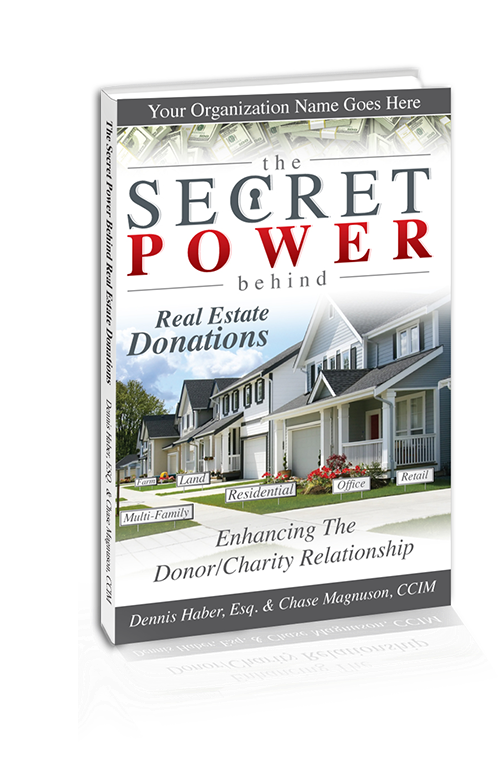 Real Estate Gifting Book.....Discover the incredible power of real estate gifts in the new book by Chase Magnuson and Dennis Haber, "The Secret Power behind real estate donations"
If you are adding one book to your professional library in 2014 let it be this one. The authors cover both sides of the charity equation, board relations, donor strategy and gift opportunities. See below information in Kudos section on Homewood Foundation's and their recent gift of a $549,000 home for a charitable gift annuity. Technical Tips: Asset Titling in Estate Planning..... The title of assets will determine your property rights during your lifetime. It will also determine how that asset is transferred at death according to your Will, by beneficiary designation, or based on an agreement or state law. The title of an asset is as important in determining who will inherit that asset as the terms of your Will or other estate planning documents. It is important to coordinate asset titling with your estate plan or your wishes will never be realized. Sole Ownership: You have complete title to the property. If titled in your name alone with no beneficiary, asset passes through your probate estate upon your death. Terms of you Will determine how asset will be distributed. If you do not have a Will, state intestacy law determines how assets are distributed. Intestacy laws vary from state to state and typically distribute assets to a spouse, children, parents, grandchildren, siblings, or other relative varying orders of preference. Joint Tenancy with Right of Survivorship: Assets are equally owned by two or more people, each having rights of survivorship. Upon the death of one joint tenant, property becomes the solely owned property of the surviving joint tenant(s). Assets automatically pass to survivor(s) allowing immediate access to asset without cost and delays of probate. Deceased tenant's interest in any joint property receives a step-up in cost basis, which means that the surviving owner's basis will increase. Joint owners do not have to be related to each other. Asset will not pass according to your Will, but automatically to co-owner(s). Tenancy by the Entirety: a form of joint ownership only available between spouses. Not all state recognize this form of ownership. Neither spouse can dispose of the property without the other spouse's permission. Provides creditor protection except with respect to federal tax lien on a property, which attaches even if only one spouse is liable for taxes due. Tenancy in Common: Two or more owners; may have equal or unequal fractional ownership. Similar to sole ownership, when one owner dies, fractional interest owned by the decedent passes either by Will, or intestacy law. Does not have a survivorship feature. Each owner may dispose of their share during their lifetime, or by Will following death. Community Property: Community property states include Alaska, Arizona, California, Idaho, Louisiana, Nevada, New Mexico, Texas, Washington and Wisconsin. In addition, Puerto Rico recognizes community property. Income earned and assets acquired after marriage are considered community assets, and each spouse owns 50%. Each spouse holds an interest in all community assets, regardless of which spouse actually acquired the asset. At the first spouse's death, the entire community property asset will receive a full step-up in cost basis to the date of death fair market value. There is no automatic right of survivorship, however community property may be owned jointly with right of survivorship, in which case deceased spouse's interest will pass automatically to the surviving spouse. Revocable Trust Assets: owned by a trust pass per the terms of teh trust, and are not subject to probate. In order to be effective, assets ownership should be transferred to the trustee of the trust. Assets that are owned by the trustee of the trust, or that pass to the trustee at death (either by beneficiary designation, Paid on Death (POD), Transfer on Death (TOD) or otherwise) will pass per the terms of the trust. Beneficiary Designations: While there is no ownership interest certain property will pass upon your death by way of a beneficiary designation. These forms are often provides as part of a contract issued by the planner provider for life insurance, annuities and retirement plan assets. National Geographic Discovery Letter.....I was surprised the other day to find an estate planning discovery letter in my mail box. As a new subscriber to National Geographic and not a donor I do not fall into the normal categories of top prospects. Why me I asked? Signed by the VP of Gift & Estate Planning and encouraging me to join the Alexander Graham Bell Legacy Society (Bell was their second President and it is a powerful name) the letter came with a copy of Explore Tomorrow, Volume 12, Issue 1 their Estate and Gift Planning Ideas for Friends of Nat. Geo. Inside was a two-page spread of name recognizing their dedicated members and three examples of recent gifts which the VP worked closely with the individuals. The legacy me membership form was provided as simple response vehicle. Let's hope they keep me on the list. The Key to Successful Fundraing: Know yourself and be yourself.....When is come to raising money from individual donors know thyself and your asking style. These issues are explored in Andrea Kihlstedt's new book "Asking Styles - Harness Your Personal Fundraising Power." Are your a Rainmaker? or a Go-Getter? or a Mission Controller or perhaps a Kindred Spirit? Knowing which one most closely describes your personality will give you a clearer sense of everything from deciding which prospects are best for your to choose, how to prepare your ask, conduct the solicitation and even how to follow up with the donor. I recommend this book for your personal and professional library. Position Openings: The Ronald Reagan Presidential Foundation is seeking a Director of Major Gifts. Reporting to the Chief Development Officer (CDO), the Director of Major Gifts will be responsible for developing and implementing a strategic development plan to substantially increase major gift revenue from individuals. The Director will focus all planning and monitoring efforts with an eye toward efficiency and success in the production of annual and sustainable gift levels. The Director will play an active role in the cultivation-solicitation process and demonstrate leadership by example. The Director will further advance the major gift program through outstanding stewardship and acknowledgements. Ideal candidates will confidently display the values and ideals championed by President Reagan. The successful candidate will be the professional who passionately embraces the challenge of regular and sustained moves management activities with potential major gift donor prospects. Quickie Quiz answer.....Michigan ranked as the worst state for retirees in 2012.
gift annuity rates effective in 2012 which are also effective for 2014. The ACGA will meet again in April, 2014. Female Philanthropists Lead.....UBS World Ultra Wealthy Report 2013 reports women are taking a predominant role in philanthropy. The most popular industry for ultra-high, net-worth women in nonprofit and social organizations. COMING BACK - The average US home has increased in value by +14% over the past 2 years, i.e., 2012-13 (source: Office of Federal Housing Enterprise Oversight). A MAJORITY BUT NOT ALL - Medicare pays for 60% of the average healthcare costs for an American senior (source: American Journal of Law & Medicine). THE SICKEST FOLKS – Just 10% of Americans account for 65% of all health care expenditures on an annual basis (source: John Hopkins Palliative Cost Program). WHAT THEY PAID - The top 1% of US taxpayers paid an average tax rate (i.e., federal income taxes paid as a percentage of adjusted gross income) of 23.5% in 2011 vs. an average tax rate of 3.1% for the bottom 50% of taxpayers (source: Internal Revenue Service). BOUNCE BACK - The value of Americans’ equity in their real estate peaked at $10.3 trillion as of 12/31/07, fell to $6.3 trillion by 12/31/11, then climbed back to $10.0 trillion as of 12/31/13 (source: Federal Reserve). FEWER AND FEWER - 1 of 7 individual tax returns filed for tax year 2012 (14.4%) reported adjusted gross income of at least $100,000. 1 of 28 individual tax returns filed for tax year 2012 (3.6%) reported adjusted gross income of at least $200,000 (source: Internal Revenue Service). Homewood Foundation of the United Church of Christ, Williamsport, Maryland, Ernie Angell, President and Thomas B. Riford, Vice President of Funds Development received a gift of a home in Edenton, NC from donors aged 77 & 80 for a two-life charitable gift annuity. Discussions on the gift began in November, 2013 and the gift was closed on December 27, 2013. The home appraised for $549,000 and the annuity was based on the discounted value of $494,100 with a 5.0% dismounted payment rate. Details on the home 3 bed, 3 1/2 bath, 2,800 sq. ft. home currently up for sale can be viewed HERE. Santa Fe Opera, Brian Dailey, Director of Planned Giving, has secured 12 new members of the Aria Society ("The gift that sings") in the first six months of the fiscal year. 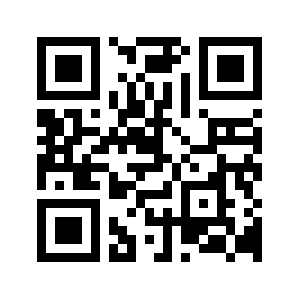 Check out their Meet the Donors sections it makes the strategies come alive!!! !